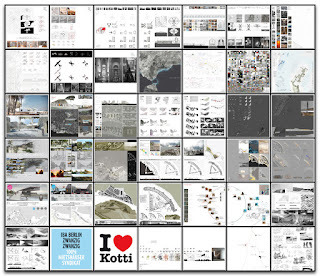 Under the superordinate topic of "Cultural Transfer", complex challenges across greater Europe have been delved within five different cumulative research fields, in cooperation of the international professors’ team with the students of class 01 during half a year 2012: Sustainable architecture and urban design, focusing tasks about difficult heritage transformation and problems about coast's touristification. The design research has taken place as “individual teamwork” within research clusters in Cottbus, Tallinn, Lisbon, Tel Aviv, Seville and Berlin from both a practical and a theoretical point of view. The topics, strategies and results have been presented in a public exhibition and reviewing with the international board of critics and guests. 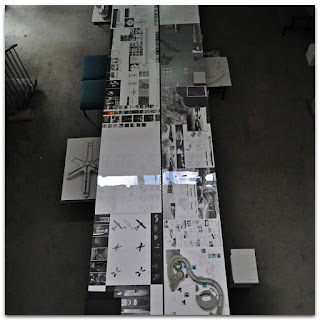 In the research platform 'European Architecture Dialogue' - members of Reiseuni.lab from 8 countries and 11 universities discuss about experiences in the european teaching programme and about how they work with regional architectural problems within the european context.